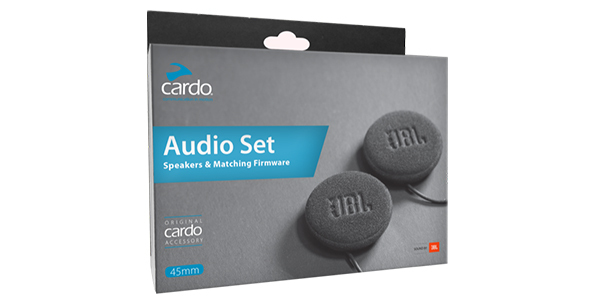 Cardo Systems and JBL announced preorder availability of the all-new 45mm Audio Set – an accessory kit combining hardware engineered speaker with Sound by JBL and software to deliver an unmatched audio experience for motorcyclists. Whether playing music, taking phone calls or communicating with other riders, the new accessory kit takes sound quality to another level. JBL Sound Processing provides unmatched audio quality for music and voice alike, calibrating the audio output to be optimized for the 45 mm speakers. 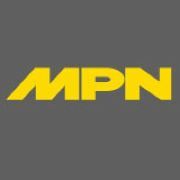 The sound processing is compatible with Cardo’s entire PACKTALK series, including SMARTPACK and SMARTH, and across the entire Freecom product line. Additionally, PACKTALK owners will also be able to enjoy JBL Equalizer Sound Profiles that allow the rider to choose the audio configuration that best suits their preference or specific use case. Although the Audio Set’s full capabilities are only compatible with Cardo products, the JBL 45mm speakers can be utilized for an enhanced audio experience with any other motorcycle communication system that accommodate a standard 3.5mm jack.